I’m often asked which is the best oil for cooking? With so many oils available on the supermarket shelves, it can be very confusing knowing which one to choose to cook with. Should you be using butter or should you choose a vegetable-based oil, such as sunflower oil, instead? How about Ghee, coconut oil or olive oil? There is a lot of talk about the harmful effects of eating fats, with many lingering beliefs that fat should be limited in the diet. 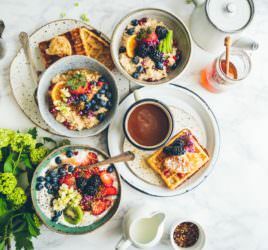 This is absolutely not the case and indeed, choosing low fat, 0% fat or reduced fat options are often unhealthier, due to their higher sugar content. In fact, there are a group of fats called Essential Fats, which in terms of nutrition, mean that these fats, mainly Omega-3s, must come from the diet; in other words, your body cannot make these and therefore must be consumed. These fats are found in oily fish, such as Salmon, Herring, Sardines and Mackerel as well as avocados and walnuts. However, whilst it is essential that you include these healthy oils in the diet, the oils derived from these foods may not necessarily offer the best choices to use for cooking? Choosing the right oil depends upon what you’re using it for? In the first instance, choosing the right oil depends upon what you’re using it for? The best oil for cooking may not be the best one to use for a salad dressing, for example. 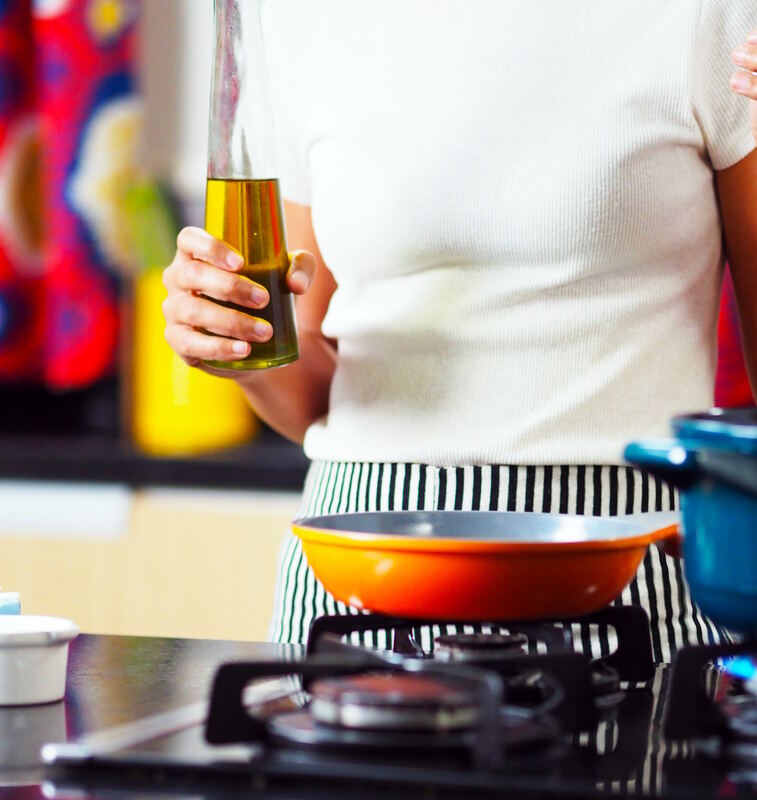 The main criteria to determine which oil is best for cooking is how it behaves when it’s heated and whether heating the oil produces potentially harmful compounds. The point at which an oil starts to burn and produce smoke is known as the “smoke point” and this is one of the most important factors to consider. If an oil is heated past its smoke point, as well as affecting the flavour, it will produce harmful compounds called free radicals that can be dangerous. In this short video, I explain my choices and offer my advice as to which is the best oil for cooking, as well as for other uses. Fats are made up of different types of fatty acids; monounsaturated, polyunsaturated and saturated fats and each oil we use will come under one of these categories. Olive oil for example, is a monounsaturated fat whereas butter and coconut oil are saturated fats. We need to eat fat in our diet; it should make up around 20-35 percent of our daily calories. Our cell membranes are made up of fat, so if our cell integrity is not good, this will have an impact on how well we absorb nutrients. Fat is also essential for good nerve, brain and skin health. Ghee, once vilified as fat to use in cooking has now risen in rankings and even considered an elixir of health. CLICK HERE to read more. Would you like to learn more about nutrition? Why not join my FREE Facebook Group? Good article! I would also like to know what’s your view on a sunflower oil and should it be used for frying? Also I believe there is such a things refined and non-refined oil. If refined, I would imagine it is better suited for higher temperature and the smoke point gets higher. Would you be able to provide more insight? Sunflower oil is not one that I choose to use; I’m a fan of the ones listed in the article!